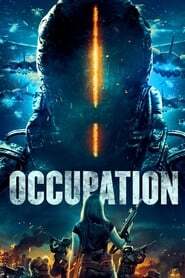 Pinnacle Films Australian has released the poster and the teaser trailer of the science fiction film Occupation, starring Morrison Morrison (Star Wars), Dan Ewing (Red Billabong), Stephany Jacobsen (Revenge), Rhiannon Fish (The 100), Charles Mesure and Aaron Jeffery (X-Men Origines: Wolverine). The plot narrates how a small group of residents of the city have to unite after a devastating invasion. As they struggle to survive, they realize that they must be one step ahead of their attackers and work together to have the opportunity to strike back. You can see the first Occupation trailer, a new Australian sci-fi title with alien invasions in between. The plot tells how a small group of residents of the city have to join, after a devastating invasion. As they struggle to survive, they realize that they must be one step ahead of their attackers and work together to have the opportunity to strike back. Morrison, Stephany Jacobsen, Dan Ewing, Rhiannon Fish, Zachary Garred and Izzy Stevens, Charles Terrier, Charles Mesure make up the cast.